We really enjoyed our stay here. The staff were all very friendly and helpful and the rooms comfortable. And it's close to everything. Excellent facilities. I stayed in a 4-bed all female dorm and the way they work around their bookings made it easy to know who was coming in and out of the room and when. Free breakfast was simple but satisfying. The location is hard to beat! 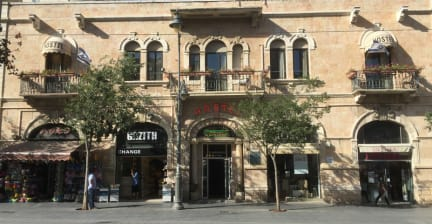 This hostel is in a perfect location, close to the old city, shopping and right on the tram line. It was noisy at night on Thursday and Saturday evenings until about 1am, however the hostel provided ear plugs. 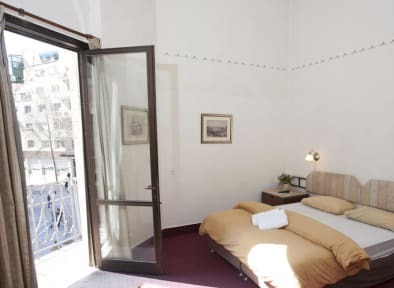 The room was extremely basic but clean and affordable. Hostel kitchen was great. The hostel also has a nice friendly cat we enjoyed hanging out with. We stayed in a private room that had a lovely balcony. The hostel offers tour information that leave from nearby. We enjoyed our stay. Its an ok hostel. The hostel is like an old european hotel turned into a hostel. The rooms are small, common room is small, and the breakfast could be better. No soap in bathroom. For the price it should be better. Staff were friendly. Hostel was very comfortable, good staff, good breakfast, free tea, coffee and hot chocolate, perfect location, good view from my room, but I got bed bugs. I was unlucky. The place generally feels shoddy and run down, so the overall impression is quite poor. My room overlooked the busy street, so extremely loud music from Jaffa Road kept me up until midnight. The shower was cold -- no hot water! And the bathroom in our room smelled bad, like pee.